This Association shall be known as the Heartland Meat Goat Producers Association and shall be at all times operated and conducted as a non-profit association. The purpose of this Association shall be to promote meat goats as a vital source of long term, stable income in agricultural operations; to establish a group breeding plan for the improvement of meat goats; and to enhance consumer demand at the retail level. The principle place of business shall be the permanent residence of the Secretary/Treasurer of the Association. Section I: Any person who pledges himself/herself to support and obey this Constitution and advance its objects may become a member of this Association on payment of the appropriate sum of money thus designated by the board of Directors. 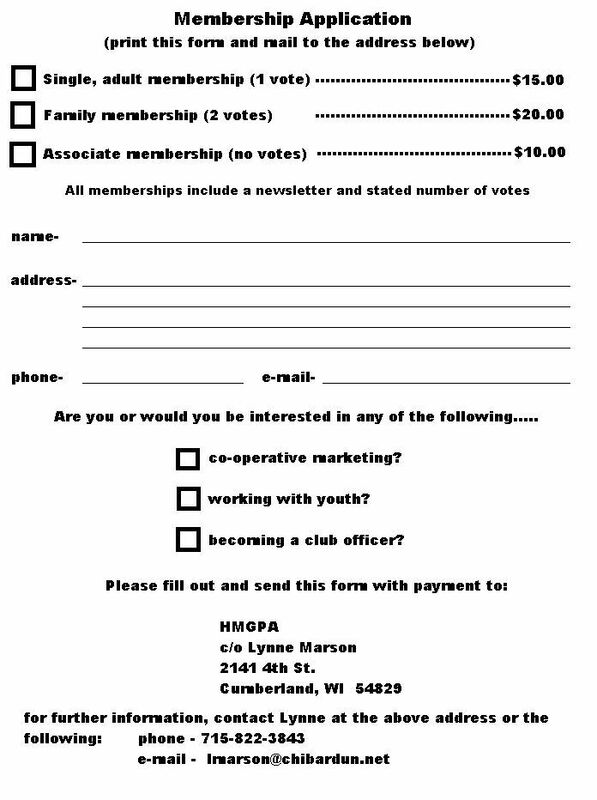 The membership year will be from January through December. Memberships paid after October 1 will continue through the following year. Family memberships shall have two votes, and single memberships shall have one vote. Section II: Members of the Association shall be retained and expelled in accordance with such rules and regulations as the Board of Directors may, from time to time adopt. In all matters governed by the vote of the members, each member eligible to vote and in attendance at the annual meeting shall be entitled to one vote. Section III: Associate/Youth membership will be non-voting and will be governed by the same rules and regulations as the above. Section I: The Board of Directors of this Association shall consist of a President, Vice-President, Secretary/Treasurer, Chapter Chairpersons of a sufficient number to meet the needs of the Association, and general board Members to bring the total to nine. The Board of Directors shall be elected for two-year periods except for the initial slate, which will consist of five members elected for two years beginning in 2000, and four members being elected to a one-year term. The regular annual meeting of the members shall be held at such time and place as may be fixed by the resolution of the Board of Directors for the purpose of electing officers and for the transaction of such other business as may be brought before the meeting. Section I:(ammended 12-02-2001) The election of officers shall take place at the annual meeting. Each member eligible to vote and present shall be entitled to one vote. Voting shall be by mail-in ballot. Nominees will be selected by a nominating committee, of which those who receive the highest tally will be elected to the vacant positions. Newly elected officers shall take office following the activities oaf the annual meeting. Section II: The election of Chairpersons shall take place at their chapter prior to the annual meeting. Members of their chapter eligible to vote and present shall be entitled to one vote. Voting shall be by secret ballot. Nominees shall be accepted from the floor, of which one with the highest tally will be elected. Section I: In case of vacancy of any office, the Board of Directors shall have the power to fill such vacancy for a time not extending beyond the next annual meeting. It shall be the duty of the President to preside at all meetings of the Association. He/she shall appoint such committees as are deemed necessary by the Association and shall be ex-officio member of all committees. He/she shall perform such other duties as usually pertaining to his/her office. The Vice President shall preside at all meetings of the Association in the absence of the President and, in such event, he/she shall have authority to perform the duties of the President. He/she shall assume the duties of the President in the event of the vacancy of the office. The Vice president is program chairperson at each annual meeting. Section I: The Secretary/Treasurer shall give due and proper notice of all meetings of the Association and shall record proceeding of the same. Copies of the minutes of each meeting shall be sent to each Board Member. Section II: The Secretary/Treasurer shall receive all monies and keep an accurate account thereof. All checks drawn on funds of the Association shall be signed in the name of the Association by the Secretary/Treasurer or the President. He/she shall make such reports of the receipts and disbursements in such form as the Board oaf Directors may direct. The accounts of the Treasurer shall be audited annually or at such time as the Board of Directors may direct. The auditor shall supply a copy of the audit to each officer. The Chapter Chairperson shall preside over chapter meetings of the Association. He/she shall record and report all business proceedings of the meetings to the officers of the Association. He/she shall perform all duties in accordance with the constitution and By-Laws of the Association. The Board of Directors shall meet at such time and placed as the Board may direct. The President may call a meeting of the Board at any time by giving ten (10) days notice to each member of the Board, a majority of which shall constitute a quorum for the transaction of business. The Board of Directors shall have the management of the affairs of the Association and shall exercise all such powers and do such acts as are usually done by a Board of Directors, subject at all times to the Association’s constitution and by-laws. It may adopt such policies as are necessary for the transaction of its business. This Constitution and By-Laws; may be amended at any annual meeting when the proposed amendment has been sent to all members two (2) weeks prior to the annual meeting. The approval to two-thirds of the members present at the annual meeting shall be required for the adoption of any amendment.